The Great Black Out of 2017 is nearly upon us! Okay, I’m exaggerating, but the first total solar eclipse visible in the continental United States in 38 years is happening on Monday, Aug. 21. In the L.A. area we’ll see a maximum of 62 percent of the sun blocked out by the moon around 10:21 a.m. — not as good as the show the Pacific NW will get, but not too shabby. Never look directly at the sun, even during a solar eclipse. Be sure to have safe solar viewing tools on hand. Griffith Observatory. Photo: Steve Hymon/Metro. 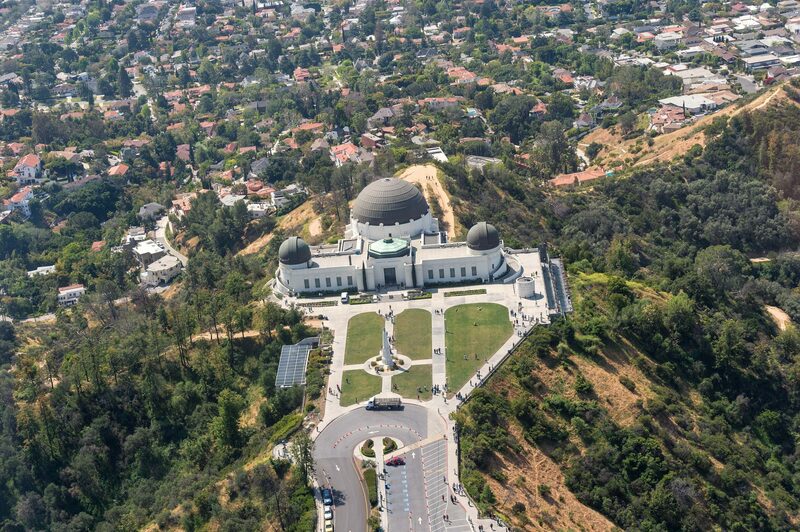 Griffith Observatory: the Observatory is hosting a free public viewing event from 9 a.m. to noon. 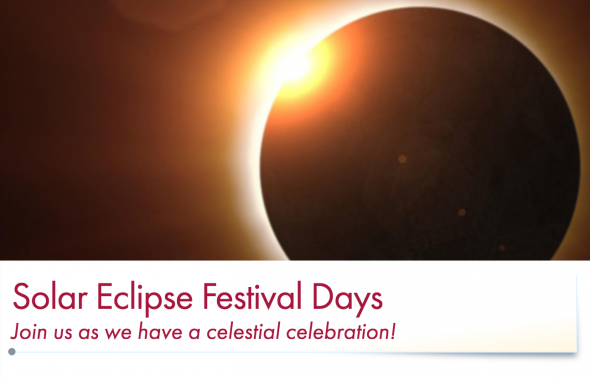 Personal telescopes are not permitted at this event but the gift shop will be selling eclipse viewers. Get There: The DASH Observatory bus will run special early service starting at 8 a.m. to accommodate those heading to the eclipse viewing event. Buses run every 20 minutes and connect with the Metro Red Line at Vermont/Sunset Station. Board at the northeast corner of Vermont/Sunset. DASH fare is 50 cents cash or 35 cents with a TAP card. California Science Center: The California Science Center will be hosting a free solar eclipse festival next weekend, Aug. 19 and 20, on the walkway near the parking structure. Events will take place from 11 a.m. to 3:30 p.m. both days. Learn about eclipses, then attend the viewing party on Monday, Aug. 21, from 9 a.m. to 11:45 a.m. Experts will be on hand to answer questions. Safe solar viewing tools will be on hand for use. Get There: Take the Expo Line to Expo Park/USC Station, or the Metro Silver Line to 37th St/USC Station. Multiple other bus lines also serve the area. Check our Trip Planner to find a route that works for you. DTLA’s newest park is easily accessible from the Gold Line’s Chinatown Station. Photo by Steve Hymon/Metro. 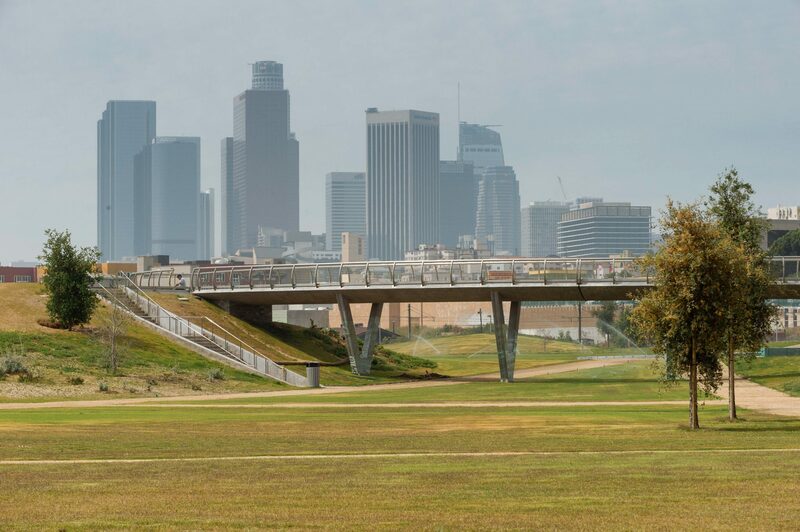 L.A. State Historic Park: Meet with park rangers at 8:30 a.m. at the Gateway to Nature center in El Pueblo and hike over to the park, or head directly to the park next to Chinatown Station. This event is held in collaboration with California State Parks and Western National Parks Association. Get There: If heading directly to the park, take the Gold Line to Chinatown Station. To meet at Gateway to Nature, exit Union Station and walk across Alameda Street to El Pueblo. 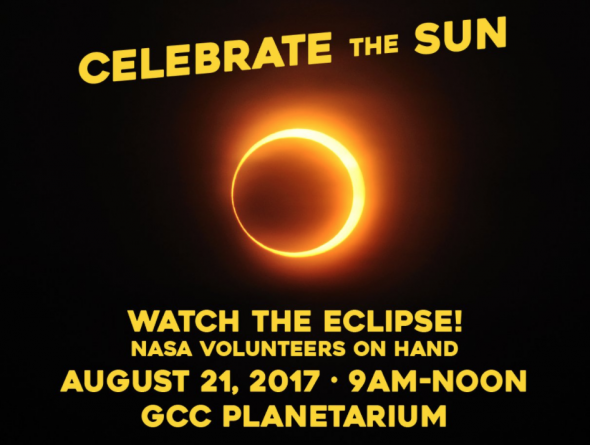 Caltech: Caltech will be hosting a free viewing party with solar telescopes, eclipse glasses, a live stream from the path of totality and astrophysicists. Meet at 9:30 a.m. on the Beckman Lawn. Get There: Take Metro Bus 267/264 or Pasadena Transit Line 10 to Del Mar/Wilson, or Metro Bus 177 to California/Wilson. 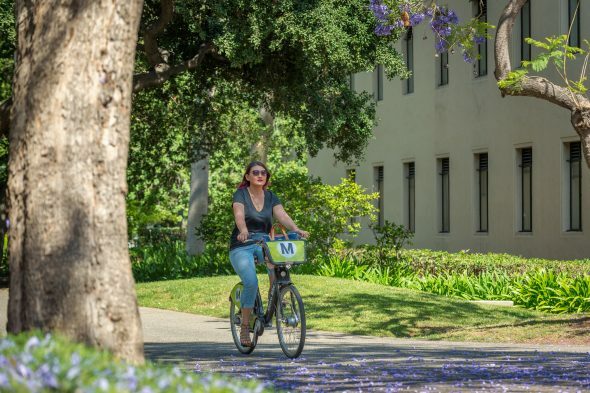 You can also use Metro Bike Share, there’s a station near the Gold Line’s Lake Station and at Wilson and San Pasqual at Caltech. From Lake, ride east on Corson (there’s a bike lane) and make a right on Wilson, where you’ll share the road with car traffic until reaching a bike lane that is south of Cordova. Flyer image via GCC Planetarium Twitter. Glendale Community College: The Glendale Community College Planetarium will be open for eclipse viewing from 9 a.m. through noon. There will be eclipse viewing glasses, streaming NASA video and other activities. Get There: Take the Glendale Beeline 3, 7, 31 or 32 to Verdugo/Civic Auditorium. Beeline fare is $1. 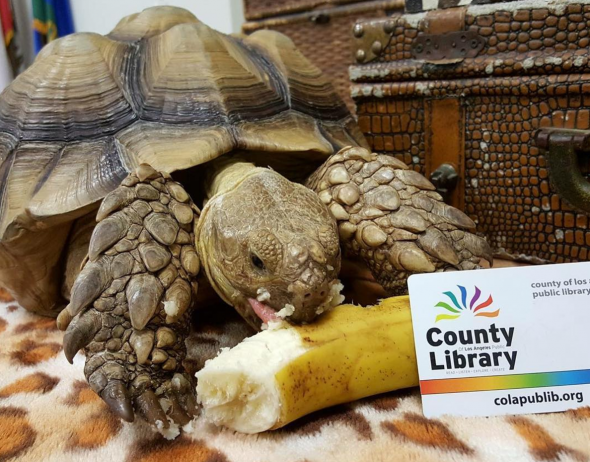 Photo: L.A. County Library Instagram. 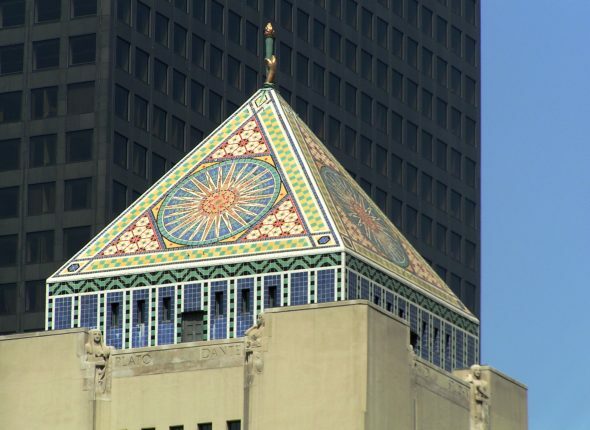 County of Los Angeles Public Library: Many County libraries will be hosting pre-eclipse activities the week leading up to the eclipse, as well as eclipse viewing parties where safety viewing glasses will be provided. Check out the link to see what’s happening, then plan your trip at metro.net. And quick reminder: You can now buy and load TAP cards at 35 L.A. County Library locations. Los Angeles Public Library: Many LAPL branches will be hosting pre-eclipse activities the week leading up to the eclipse, as well as eclipse viewing parties where safety viewing glasses will be provided. Check out the link to see what’s happening, then plan your trip at metro.net. Finally, here’s a fun interactive graphic by Vox that shows you what the eclipse will look like based on whatever location you enter. Plop in a ZIP code and take a look!